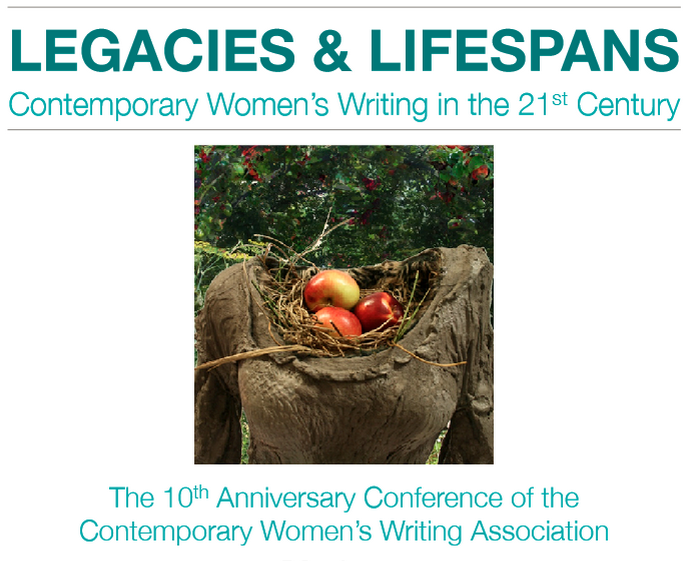 On Saturday, 17th October 2015, the Contemporary Women’s Writing Association welcomed an international audience of academics, writers, and postgraduate students to the University of Brighton to celebrate their 10th anniversary conference aptly named ‘Legacies and Lifespans.’ Whilst considering this thought-provoking theme in relation to contemporary women’s writing, the delegates explored the evolving spirit and concerns of women writers from the 1960’s and 70’s onwards through a range of interesting topics, genres, and theoretical analyses. Featuring not only three keynotes from leading scholars Professor Mary Eagleton, Professor Lucie Armitt and Patricia Duncker, but also the launch of The History of British Women’s Writing, 1970-Present (2015) and seven panel sessions, the diversity and insightfulness of the conference was truly beyond measure – and, so too were the stimulating discussions which were generated. Now, with the impossible task of capturing the full breadth of activity that the conference emanated, I will focus this review on the keynotes and overall sentiment that the conference inspired. For those eager delegates that were able to arrive a day previous on Friday, 16th October 2015, this is when the initial considerations of the legacies and continuities of contemporary women’s writing began. Having received a warm welcome and opportunity for delegates to acquaint themselves with one another, Professor Mary Eagleton proceeded to introduce the conference with her paper ‘Chance and Choice: the Literature of Women’s Upward Mobility.’ Whilst analysing the implications of using the terms ‘chance’ and ‘choice’ in relation to the mobility of the ‘Scholarship Girl’ (a term formulated by Eagleton in order to accommodate for Richard Hoggart’s lack of attention to the ‘Scholarship Boy’s’ counter-part) Eagleton examined the transition of women in higher education since the 1950’s. It soon became apparent that, for women, the neoliberal ethic of the “self-made effect” relied upon a sociology of gambling, as well as upon the notions of choice, hope and serendipity, more than it did on the prospect of choice. Eagleton’s historical account of women’s upward mobility continued until the focus became the situation of mobility in today’s society, and concluded by drawing on Lauren Berlant’s notions of ‘cruel optimism’ and ‘depressive realism.’ Which, considering that much work from the weekend focused on writing in an age of crisis, were certainly themes that lingered in the minds of delegates the next day. At first glance, the agenda for Saturday’s programme looked not only impressive but also rather fast-paced. So, following a relaxed introductory tea and coffee session, the energetic and animated tone with which the programme demanded of the day was quickly realised. Yet, this lively momentum in no form took away from the dazzling success of the conference, as instead it only matched the passion for the subject matter at hand and led to a continuous flow of spirited discussions to fill the day until the very end. Patricia Duncker was the first keynote speaker to initiate this vigour, as her enthusiasm for contemporary women’s writing was discussed from her position as both academic scholar and novelist in her paper ‘Historical Figures and Fictional Lives.’ In reflection of her own fiction, particularly her recent novel Sophie and the Sibyl: A Victorian Romance (2015), Duncker examined the traditions, rules and customs of creating historical fiction. To example but a few of the many areas that Duncker addressed, the main thinking at the heart of her paper stimulated from a critical examination of the implications and possibilities of “playing” with historical time; the dichotomy between what is myth and historical fact; as well the role of paratexts in historical fiction. Duncker interlaced this critical insight of the genre by looking at the self-imposed limits of fiction from her perspective as a writer, whilst simultaneously acknowledging the broader traditions and situation of women’s writing in the last few decades. Having received such an engaging introductory paper, the delegates then began to disperse to the various panel sessions that took place for the majority of the morning and early afternoon. With panel sessions focusing on topics such as ‘Legacies and Dis/continuities’ or ‘Popular Fictions and Cultures’ right through to ‘Social Institutions and Feminist Strategies’ it was apparent that there were few aspects of contemporary women’s writing not accounted for and discussed. As for the panels that I attended, there was certainly an identifiable echo amongst the papers in that most not only engaged with how the legacy of contemporary women’s writing had developed in the last forty years, but, more predominantly and specifically, questioned what may define contemporary women’s writing in the future. Following on from these seven panel sessions, as well as an exceptionally poignant presentation by Jane Anger (one of the co-founders of Silver Moon Bookshop) on Women’s publishing, Professor Lucie Armitt was the final keynote and speaker of the day. Despite being proceeded by such a varied array of work, Armitt’s keynote on ‘Unspeakable Seas: Flooding, Climate Change and Kate Mosse’s The Taxidermist’s Daughter’ could not have produced a more fitting manner with which to conclude the overall sentiment of the conference. The true interdisciplinary manner of Armitt’s paper accentuated to what degree contemporary women’s writing is produced from and should be assessed through an innovative, experimental, and speculative lens. Her paper pushed the analysis of contemporary women’s writing into new territory, almost literally, by examining the encroachment of the sea upon the British coastline as an area for twenty-first century Gothic Literacy exploration. Thus, not only did the audience leave questioning ‘the role that twenty-first century literature might play in helping us negotiate our shared cultural anxieties about encroaching seascapes’ from a geographical and literary point of view, it emphasised the imaginative and innovative essence of contemporary women’s writing itself. It is in the process of writing this report and in reflection of the conference’s success that I wish to say a huge thanks to the CWWA for organising such an insightful, diverse and beneficial event- especially, from my perspective as a PhD student in the early stages of their research- thank you. This entry was posted in Event Review and tagged cwwa on 04/11/2015 by pgcwwn.